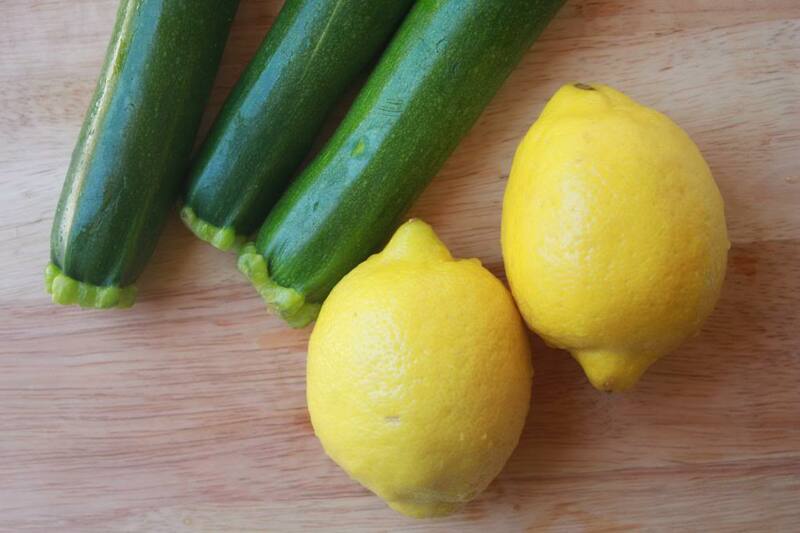 It's happened...I've found another way to incorporate lemons into a recipe and use up garden veggie surplus at the same time: Lemon Zucchini Bread! To be fair, this zucchini bread is more like a lemon loaf cake that is super-moist and addicting. It's perfect for a light summertime dessert, you can even dollop it with a little soft whipped cream and a drizzle of warm berry compote to really impress. A friend of mine has a big garden and a surplus of zucchini and squash as well as eggs (she has chickens too!) and graciously gifted me with a huge zucchini and a bunch of farm-fresh eggs this week. I used about half the zucchini in this recipe to make 2 loaves of the bread and still have the rest of it shredded in the freezer with plans to turn it into marinara next week. I love friends who have the space to grow veggies, not to mention farm-fresh eggs are incredible. I'm totally spoiled. If she had a cow I would shamelessly take free milk too! Even if you don't have access to free veggies and eggs the way I did this week, there are farmstands all over bursting with fresh zucchini, so do yourself a favor and pick up a couple this weekend and make this fabulous bread. Whisk together the cornstarch, flour, baking powder and salt in a large bowl and set aside. In a separate bowl mix together the eggs, canola oil and sugar. Beat well with a whisk until well blended. Add in the lemon juice, buttermilk and extract, stirring well to combine. Fold in the shredded zucchini and mix well to combine, then make a well in the middle of the dry ingredients and slowly incorporate the wet ingredients, stirring until just combined. Avoid over-mixing or the breads will be tough. Preheat the oven to 350 and lightly mist two 9x5 loaf pans with nonstick spray and divide the batter between the two pans. Bake for 40-50 minutes until a knife inserted in the middle of the loaf comes out clean and the tops are golden brown. Let cool in the pans on a cooling rack for at least 10 minutes before removing and serving. This bread is delicious at room temperature or warm and freezes well too!